If you dream about calm family holidays in Halkidiki Greece, in cozy and respectable apartments which are close to the wide sandy beach and clear sea, our apartments are an ideal choice for you! 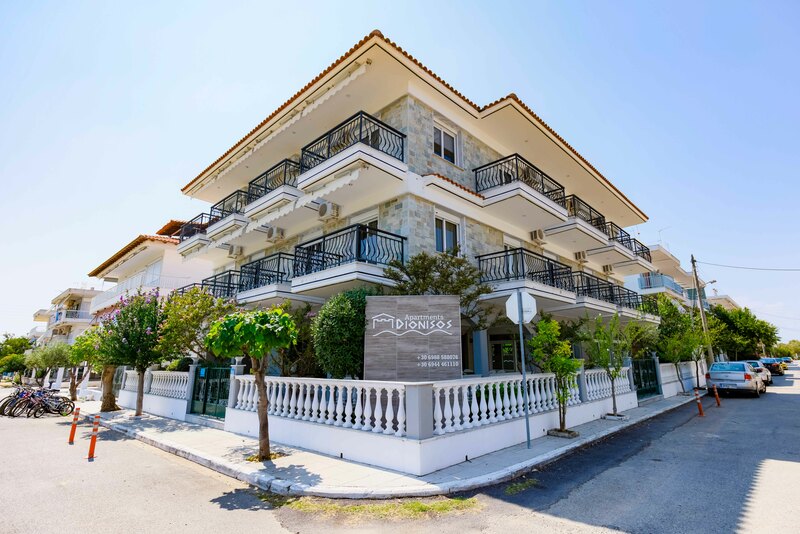 We offer you a variety of apartments to choose from in Paralia Dionisiou Beach; Dionisos Apartments, Central Apartments, Family Apartments and Akti Apartments. and Eleonas Apartments in Moudania. It`s very easy to book! You can send your requests to: info@dionisiou.com or simply fill in the request form. We will be happy to see you among our guests in our apartments in Paralia Dionisiou Beach and Nea Moudania in Halkidiki ! Paralia Dionisiou Beach is a small seaside holiday village. Stress free where you will be able to sit back, relax and enjoy your summer holidays. The entrance to the sea is long and flat which makes the beach of Paralia Dionisiou very convenient and safe for holidays with children. All types of shops such as taverns, beach bars, bakeries and super markets are open everyday to provide you everything you need. 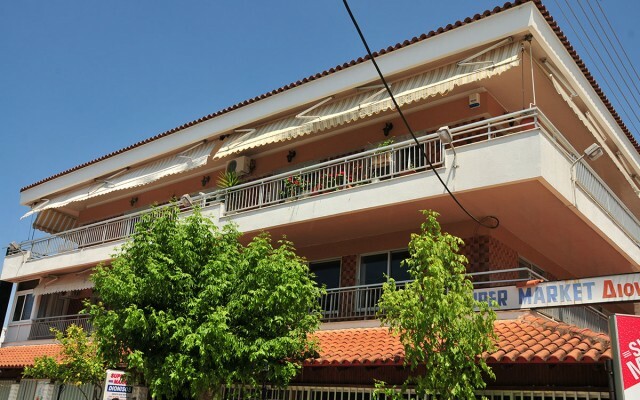 A. X. Athanasiadis - Dionisos Apartments was founded in Halkidiki Greece by Tilemachos Athanasiadis in 1982, and is still continuing at the present time by the sons of the family. Our company builds apartments and maisonette houses for permanent residence and holiday vacations. Also our company is involved with the tourism business: rents its own apartments and studios in Paralia Dionisiou and Moudania Beach, Halkidiki for summer vacations. Our travel agency offers services (organized excursions, rent a car and bicycle service, and all information about Halkidiki etc.). 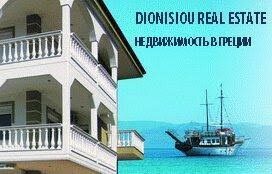 Our company office is located in Paralia Dionisiou Beach. Dionisos Apartments complex is located only 80 meters away from the beach in Paralia Dionisiou Beach, Halkidiki. Eleonas apartments are located in one of the highest areas of Nea Moudania Halkidiki only 100 meters away from a wide sandy beach. Central apartments are located in the center of Paralia Dionisiou Beach in the main square. The distance to the beach is only 150 meters! 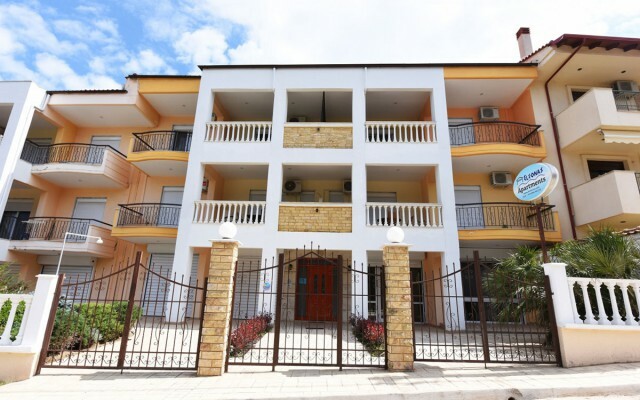 Akti apartments are in Paralia Dionisiou Beach – Halkidiki on the front sea road opposite the wide sandy beach. The Airport Macedonia (SKG) in Thessaloniki is the nearest airport to Halkidiki. You can get a taxi from the airport (appr. 60 euro per 50 km) or go by bus from the station KTEL HALKIDIKIS. The schedule and routes from Thessaloniki to the villages of Halkidiki you can find in web site KTEL HALKIDIKIS SA.